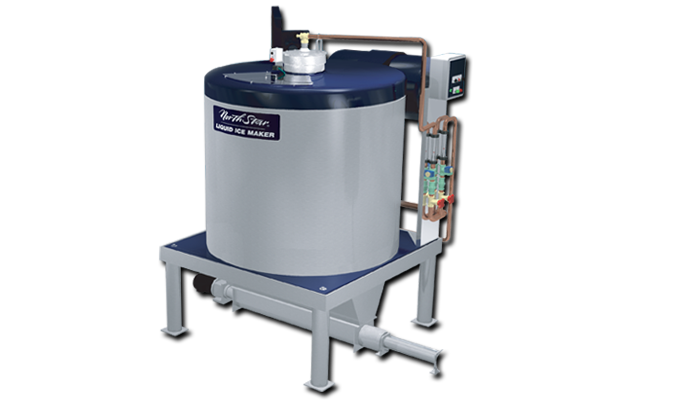 North Star Ice Equipment, the world leader in flake ice technology, now offers a liquid ice system that produces a mixture of seawater or freshwater ice and water for faster cooling of highly perishable products. When installed in a land-based plant or onboard a vessel, the North Star liquid ice system produces and pumps liquid ice to mutiple use points. Reuired Cooling Load (kWr) at -25℃ Evap. Temp. Based on 4℃ chilled sea water infeed temperature. Based on 28℃ fish temperature.